After seeing the popularity of smartphone, BlackBerry has confirmed to go multi platform for OS divide this year. As BlackBerry announces BlackBerry Messenger (BBM) for iPhone and Android handsets for the first time in this summer. In the recent press conference, software veep Andrew Bocking confirmed that there popular BBM services will hit in all competitors smartphone platform this summer and will be free for download. The BBM app will run in the current generation of Apple’s software, iOS 6 and in upcoming iOS 7 also. At the same time, this app will be available on Android devices which are powered by the 4.0 version (Ice Cream Sandwich) of the operating system or above. 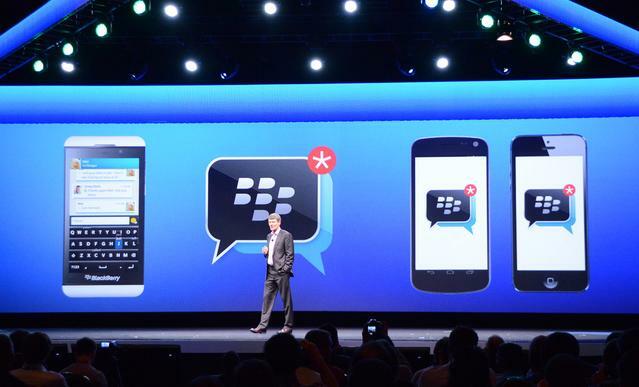 In the conference Bocking said: Now it’s right time for BBM to become a multi-platform mobile service. The BBM, is one of the popular instant messaging services among BlackBerry customers, enabling them to easily connect while maintaining a valued level of personal privacy. We're excited to offer iOS and Android users the possibility to join the BBM community." As BBM service is mainly popular among youth and cost-conscious group. In this server customers can make instant message for no extra charges, since it’s included in their mobile data plan. Due to this instant messages facility, there is no need to pay for a generous text message/SMS allowance. Till now, BBM’s are available in the BlackBerry phones only, which leading to higher selling of their devices. In the conference it also introduced the new BlackBerry Q5.